Nigerian cyberspace is being lit up by a wildly viral video of Kenyan politician Miguna Miguna brutally taking down his political opponents in a televised debate that took place in early July. There is probably no Nigerian on social media who hasn’t watched the nearly two-minute video. It’s being shared on WhatsApp, Twitter, Facebook, Instagram, and everywhere else Nigerians congregate online. I’ve probably watched it a million times myself! It’s my new comic relief and guilty pleasure. The video captures a moment during a debate between four contenders for the position of governor of the county of Nairobi. The contenders are Evans Kidero, the current governor of Nairobi who was CEO of Mumias Sugar Company for eight years; Mike Sonko who is the current senator of Nairobi; Peter Kenneth, a former presidential candidate who is currently an Assistant Minister; and the tautonymous Miguna Miguna, who is an author, columnist, activist, and former presidential adviser. “Cartels are central to the problems of Nairobi, and the three colleagues of mine, actually, are part of the cartels that I want to deal with [laughter from the audience]. I will tell you who the cartels are. The cartels are people who have made money through shady business deals. “My friend Evans Kidero has made his billions through shady deals. There’s no industry he has, but he has become a billionaire, having been an employee throughout his life, because he has looted every institution he has joined [rapturous laughter from the audience]. Mumias [Sugar Company] has collapsed, and Nairobi is not a going concern anymore, according to the auditor-general. “My friend [Mike] Sonko is looting every land in Nairobi [laughter from the audience]. He has a criminal record from Mombasa where he was jailed because of fraud, forgery, and drug dealing. Then he ran away from jail. So he is a cartel because he has a criminal record [laughter from the audience]. And, right now, he’s grabbed many pieces of land and then stages a PR show, a PR stunt, where he videotapes and pretends he’s come to rescue. “My friend Peter Kenneth bankrupted Kenya Re [roaring from the audience]. He basically looted a public institution to death [more laughter from audience]. And when he was in Gatanga, he never promoted a motion in parliament, never sponsored a bill, never chaired a committee of parliament. Then, he is saying we need a manager. Nairobi needs a leader, not a manager [laughter from audience]. I will hire managers to deal with different sectors—competent, ethical managers. Why have Miguna’s no-holds-barred, bare-knuckle rhetorical punches against his opponents resonated well with Nigerians and caused Kenyan politics to reverberate in Nigeria? It is apparent that Nigerians who are excitedly sharing the video exult in a vicarious satisfaction that a bold, brash, brilliant, and brutally frank activist-politician had the gumption to mercilessly tear the already tattered reputations of crooked career politicians to shreds. 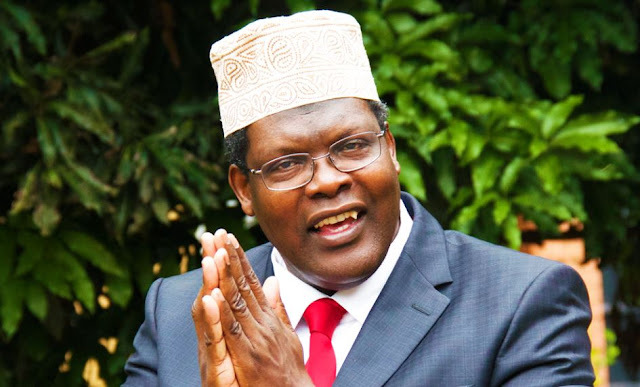 Nigerians see uncanny parallels between the politicians Miguna so brilliantly characterized in the clip and their own politicians at home who, unlike their Kenyan counterparts, are shielded from critical scrutiny, who have never had to face opponents in televised debates, who are defiantly corrupt, conceited, and unaccountable because their positions are handed to them on a silver platter. The intense popularity of the clip on Nigerian cyberspace is also a clear demonstration of Nigerians’ thirst for a robust, untrammeled institutionalization of a culture of public political debates before elections. It’s embarrassing that in spite of Nigeria’s claim to sophistication and leadership of the African continent, contenders to political offices don’t participate in debates as a matter of routine. That’s why we are always taken aback by the piteous quality of characters that our elections throw up. For instance, Andy Uba, a school certificate failure who has forged every higher education certificate that there is, is a senator and is angling to become the next governor of Anambra. 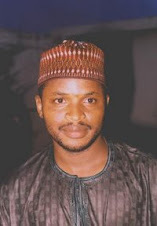 Muhammed Kazaure Gudaji, a barely educated clown who has no business in politics and governance, is a member of the House of Representatives. The examples are legion. These characters ascended to positions of political authority because their constituents never had a chance to even know who they were, what they knew, etc. A public debate prior to elections would have exposed them. Of course, it won’t guarantee that they won’t win because a multiplicity of factors account for why people win and lose in elections, but people would at least know what they were getting. The current system is akin to what the English call buying a pig in a poke, that is, getting something without an informed awareness of its true worth and form beforehand. Nigeria needs an independent, non-partisan commission to organize debates before every electoral contest so that voters can have a sense of the character and background of the people who will make policies that will affect their lives. Another interesting fact about Miguna that registered in the consciousness of Nigerians is that he is an independent candidate. A Kenyan TV station, in fact, called him “Kenya's only 'true independent'” candidate for office because other candidates became “independent” only after they lost the nomination of their parties. Nigeria, too, is ripe for independent candidacy. Political parties aren’t a sine qua non to run for office in a democracy. It’s a crying shame that Kenya allows independent candidacy but Nigeria, Africa’s largest democracy, does not. The Nairobi governorship election will take place on August 8. Miguna may well lose, given the odds against him, but he and his supporters can at least find comfort in the knowledge that his forthright, hard-tackle rhetorical kicks against careerist politicians has captured the imagination of Kenya’s bumbling big brother, Nigeria.